The BBC will be extending its HD hours this Christmas – with Auntie unveiling a whole raft of high definition content to run from midday until early morning for the festive period. Shrek The Halls, Pirate of the Caribbean: Dead Man's Chest and the first Narnia film headline the content that will be available on the brilliant BBC HD channel – allowing those with HD Ready TVs and the requisite set top box get a far better picture. Original content will include the eagerly awaited three part horror story 'There Was a Crooked House' and 'The 39 Steps' as well as staunch favourites Dr Who, Gavin and Stacey and Strictly Come Dancing's final. BBC HD has quickly become one of the most impressive high definition channels around – and is available on Virgin Media's cable service, Sky's HD satellite and Freesat, with Freeview HD coming next year. Many of its most lavish productions are being screened in HD – with the likes of Michael Palin's New Europe and Silent Witness quickly finding a vociferous HD audience. 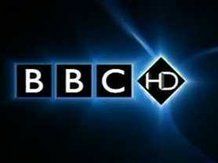 With HD broadcasts just beginning to pick up some traction as services begin to match the proliferation of HD Ready television, the extensive BBC HD Christmas line-up may well act as the perfect herald to a year in which the standard definition begins to fade in comparison to its prettier arrival.